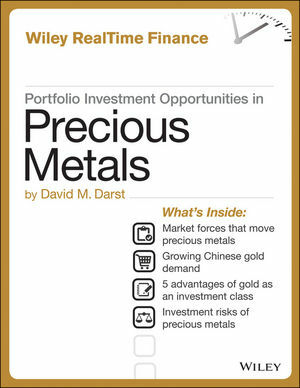 In this handy new e-book, bestselling author David M. Darst provides valuable perspective on the role and positioning of gold and other precious metals within an economic, financial, and portfolio context. It covers the advantages and disadvantages, risks and rewards of investing in precious metals and sheds light on the key factors that drive prices, including supply and demand forces, inflation and deflation, geopolitical conditions, interest rates, and the global monetary system. The book also offers detailed information on specific vehicles that provide exposure to precious metals, as well as sources of further information available in print and online. Portfolio Investment Opportunities in Precious Metals gives investors the information they need to make intelligent investment decisions in precious metals.